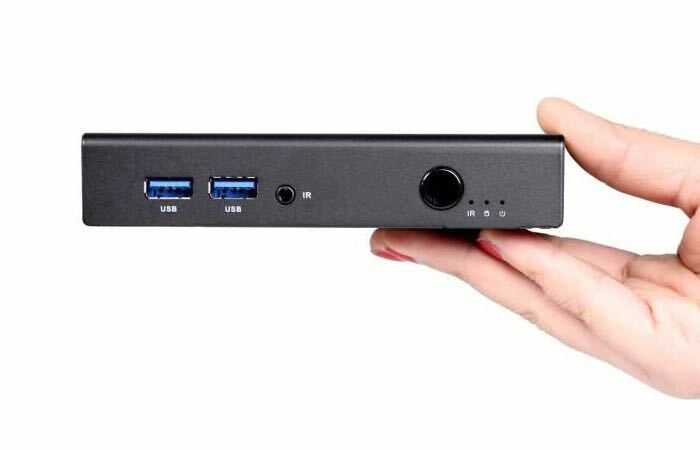 Another new mini PC that has been unveiled this week is the new Giada i200 that has been fitted with an Intel Haswell processor and measures just 5.12 x 5.06 x 1.02 inches in size. The Giada i200 mini PC range of systems come equipped with a variety of storage and processor options depending on your budget and include features such as USB 3.0 ports, Ethernet, COM, audio, HDMI, and DisplayPorts as standard. Together with a single RAM slot that is capable of accepting up to 8GB of RAM depending on your application and budget. The processor in one system within the range takes the form of the Intel Core i5-4200U chip and is expected to retail for around $378 once the systems are made available. Although a lower budget machine is also being created equipped with an Intel Celeron 2957U processor and will be made available later this year. Gilda is a brand of Shenzhen Jiehe Technology Development and the new mini PC has been created for industrial applications, supporting mSATA III solid state disk (SSD) storage and is capable of being loaded with either Linux or Windows 7 and above. Jump over to the Giada or Newegg websites for more information via the links below.